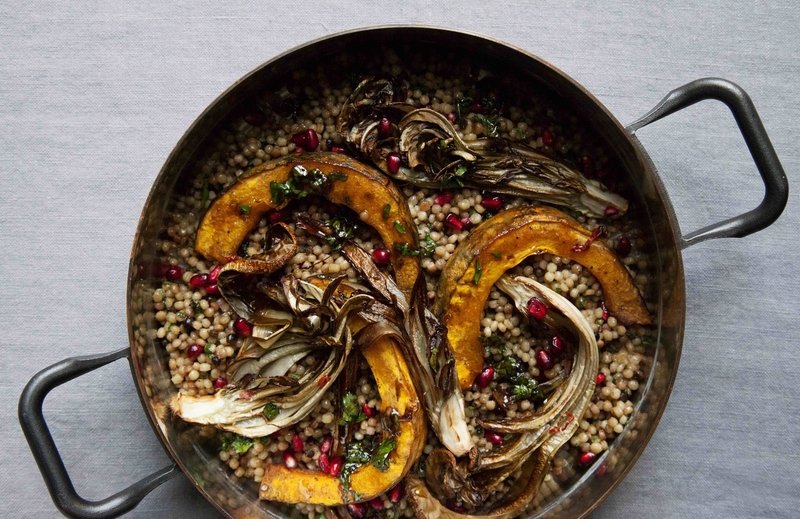 This festive looking fregola and roasted squash dish would make an excellent Christmas side or vegetarian, salad option. 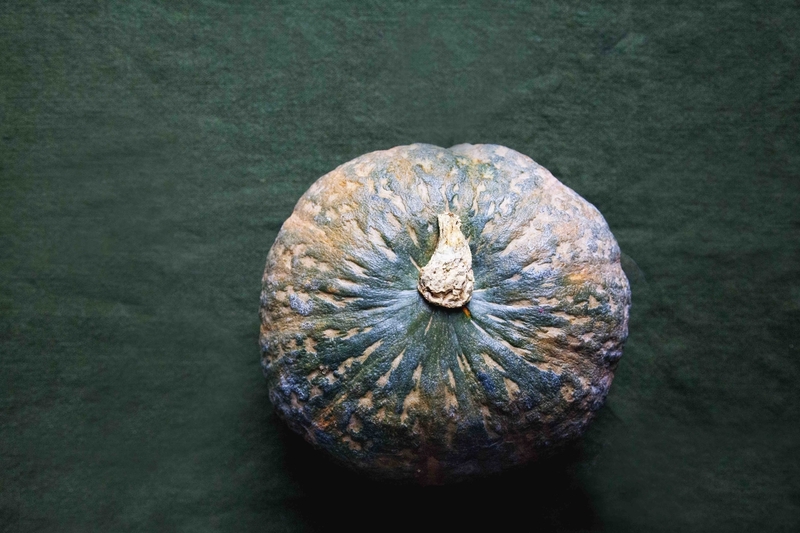 I love the sweetness of the squash alongside the juicy, bitter-sweet taste of the radicchio (Treviso tardivo is a particular variety of Italian radicchio with long finger-like leaves, but you could also use any other type of red chicory too). 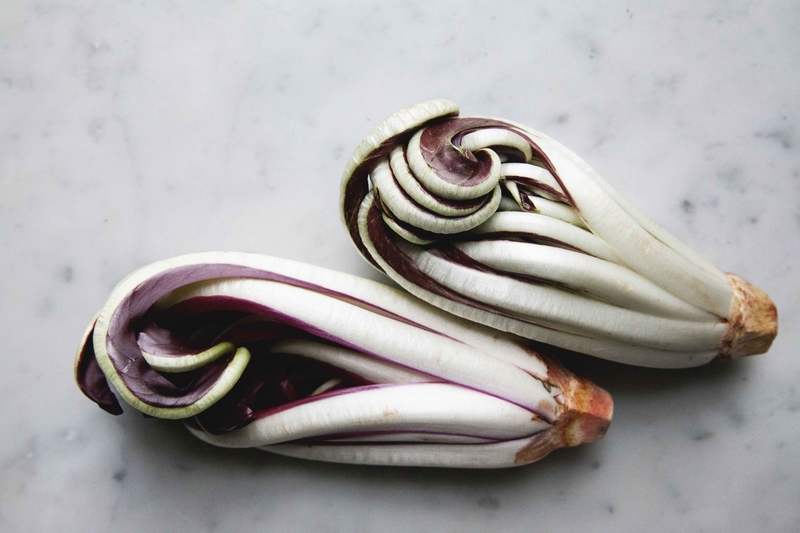 Roasting the radicchio mellows its taste and therefore brings out a natural sweetness. Fregola, a Sardinian speciality of small balls of semolina flour pasta, has a pleasing chewy texture and as a result, absorbs all the flavour of the other ingredients, above all the pomegranate molasses. Preheat the oven to 200°C/180Fan. Remove the seeds from squash and slice (skin on) into thinnish wedges. Halve and then quarter the chicory lengthways. Lay the squash and chicory on a large baking tray, leaving space between the pieces. If there’s no room, use two trays, one for each vegetable. Brush with oil on both sides, season well with salt and pepper and scatter with chopped chilli. Roast until the vegetables are completely soft and starting to get brown and crisp around the edges, around 15-20minutes. Meanwhile, cook the fregola in plenty of boiling, salted water for about 6-7minutes (or longer if the packet instructions state otherwise). It should still have some bite but not feel chalky in the center. Drain and toss with olive oil to keep the grains separate. 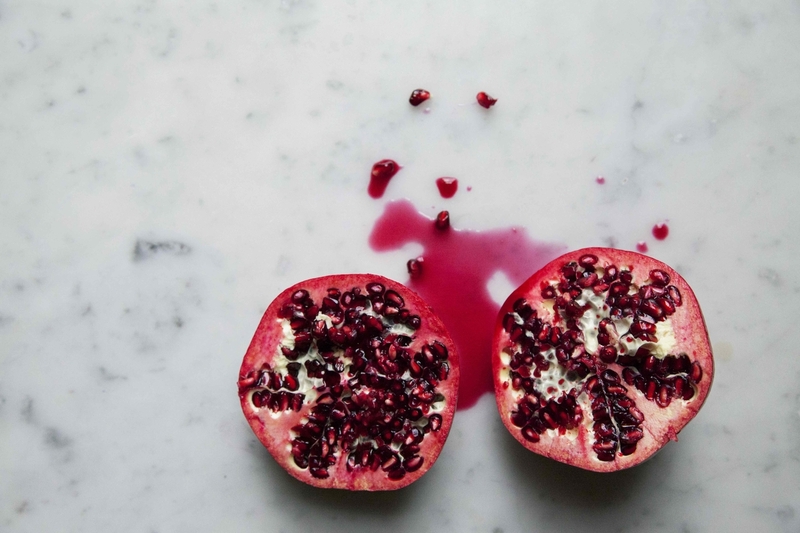 Make the dressing: finely chop the herbs and mix with the other ingredients, saving some of the pomegranate seeds for sprinkling over the finished dish. Spread the dressed fregola on a serving dish and arrange the roasted vegetables over the top, with the remaining pomegranate seeds to make things sparkle.